Our Sweet Tooth: Clafoutis, a Delicious French Cherry Custard and How to Make it! Clafoutis, a Delicious French Cherry Custard and How to Make it! This is a fantastic simple custard that takes about 40 minutes to make. You can use cherries in June when they're fresh, or blackberries, raspberries and blueberries. I would have to say the hardest part in the making of clafoutis is the pronunciation of its name! Cla-foo-tee. But that's French for you. The first mention of this humble desert was in the 19 century and it hails from the Limousin region of France, which probably means nothing, except to say that its in the middle of the country where it gets cold in the winter. And that is probably why, when the Spring and early Summer came, and the cherries were out, those that lived there created this desert to celebrate the event. There are many ways of making Clafoutis, from the very elegant, with slices of pears arranged in rounds, to the rustic with cherries and berries placed willy-nilly. It can be made to look like something you might find in a Parisian Patisserie or bakery like Le Grenier a Pain, or you might find it in your French grandmother's kitchen some sunny morning. Since I like rustic, that is the variety that this recipe describes. Enough berries/cherries, to cover the bottom of a medium sized cast iron pan or baking dish. *Preheat your oven to 400 degrees. *Butter your cast iron pan or bake ware and put the berries in a single layer. Don't overfill. Combine the eggs and yolk in a bowl. I like to use a heavy ceramic one. Add the sugar and whisk until the mixture is pale in color. Whisk in the melted butter. Sift in the flour and mix well, then mix in the milk. Make sure you use a flour sifter, it really makes it better. Continue beating until the batter is smooth, then pour over the berries. Bake for 40 to 45 minutes. Top with powdered sugar, serve warm. 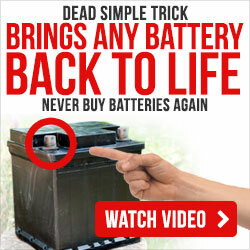 If you found this recipe useful, there are many more articles, some with video, on food, art, music on my site, Urban Life! I am a musician, producer, writer, photographer, chef. I have a website, John Rivera Urban Life where I have showcased my artistic passions. My site is full of useful information about cooking, urban living, music, art and an 'anything goes' section where I talk about anything from politics to philosophy. Guest bloggers are sometimes featured. 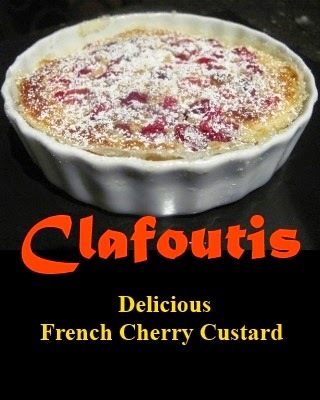 Article Source: Clafoutis, A delicious French cherry custard and how to make it!